This is not how Gov. Rick Snyder wanted to make it into college classrooms. Snyder’s mishandling of the water crisis that exposed thousands of Flint children to possible lead poisoning is already being used in business school lectures as an example of epic organizational failure, along the lines of the BP Deepwater Horizon oil spill and the Catholic Church’s response to priest child molestation scandals. The state’s mismanagement of the Flint water crisis will be the theme of a doctoral seminar at Wayne State this summer, and was the subject of a forum at Harvard University. It may be a case study in an upcoming issue of a national academic journal and will be incorporated into management classes at Grand Valley State University in the fall. It’s already an area of study for several political science researchers at Michigan State University, as well as a senior capstone project by an MSU master’s student. Snyder has acknowledged the crisis will be an unfortunate part of his legacy, saying, as governor, he’s ultimately responsible for the decisions and delays that led to lead leaching from pipes into the water system of Flint. Wayne State University professor Matthew Seeger, a crisis communications expert, predicts the Snyder Administration’s actions in Flint will long serve as a cautionary tale in university courses. But the governor has also attempted to insulate his own office’s management decisions from the crisis, alternately blaming “career bureaucrats” or “civil service people” at various levels of government for giving his office bad information. Snyder has been particularly biting in castigating the “culture” within the state Department of Environmental Quality and the Department of Health and Human Services, while denying similar problems in the governor’s office itself. There’s a decidedly different tone, however, being taken in college classrooms across the state. McKendall and colleague Nancy Levenburg are writing a case study for the North American Case Research Association journal, and say they will present their findings at a national conference in October. If their case study is accepted for publication in the journal, business classes at colleges around the world may study for years the organizational missteps that lead to the poisoning of Flint children. Staff members at Harvard’s Global Health Education and Learning Incubator say they are building teaching tools for what the center calls “possibly the most egregious example of unsafe, lead-tainted water supplies in this country,” ranging from multimedia video and simulation exercises, for secondary and university classes. Wayne State’s Seeger sees parallels to management decisions made by NASA before the space shuttle Challenger explosion, in which warnings of problems were ignored. Lead is a neurotoxin that hinders development of the brain and nervous system, particularly in young children. Thousands of children were exposed to water with high levels of lead for more than a year, despite increasingly vocal fears from residents and outside experts. Emails released by the governor’s office reveal that state officials stuck to (often faulty) data analysis generated by their own experts while ignoring, and at times trying to discredit, data analysis by outside experts. Emails also reveal that Snyder’s own inner circle of advisors discussed growing concerns Flint water with each other, but apparently failed to share that concern with the boss. Seeger, who’s authored several books on crisis management and communications, will lead a doctoral seminar on Flint this summer examining the failures of crisis communication in the ongoing man-made health disaster. Throughout the first three quarters of 2015, the governor and his then-chief of staff, Dennis Muchmore, said nothing publicly to contradict the official line of state agencies that the water coming from the taps in Flint met safe drinking water quality standards, even after residents and outside experts publicly contended otherwise – a trait Seeger said often happens as organizations create “tenacious justifications for what’s going on. By trying to be on the same page, people lose track (of what’s important),” he said. For his part, Snyder disputes that his office’s own culture is dysfunctional, or that aides were disinclined, or even afraid, to tell the governor of troubling information trickling in from Flint. To the contrary, Snyder told Bridge, he has always made it clear that problems need to be addressed openly if they are to be solved. “We need to create a culture where people can say, ‘You know, we need to try things, be more open, be more inquisitive, and try different things.’ And that’s the culture we largely have,” Snyder told Bridge last month in New York, where he spoke to a group of journalists at a conference. But the released emails tell a more complicated story, including multiple instances in which staff members in his own office were trading concerns about Flint health issues in the year before Snyder says he first learned there were high levels of lead in the water system. In one notable case, Harvey Hollins III, Snyder’s director of Urban and Metropolitan Initiatives, was told in March 2015 about an increase in Legionnaire’s disease in Genesee County that appeared to correspond with the state’s decision to switch to the Flint River as a source of water for Flint, but didn’t tell Snyder. Hollins said there was not enough information at that time for him to take the concern to his boss. Don Conlon, professor of management in the Eli Broad School of Business at Michigan State University, drew a parallel to yet another crisis that likely will make Snyder grimace: the recent terrorist attacks in Paris and Brussels. In the case of Flint, DEQ officials were focused on lead levels in the water, while state health officials at DHHS were independently examining lead levels in children. Snyder has said he could “kick himself” for not asking more questions as Flint residents complained about the water flowing through their faucets. But he has also said that, given the size of government, any governor has to rely at least somewhat on experts. “The challenge is, and I don’t use it as an excuse but, when you’ve got 47,000 people (in state government), there’s a lot of pockets that you need to get to and this is one that we didn’t,” Snyder said in New York. Crises happen in all organizations, said Lynn Wooten, an associate dean at the Ross School of Business at the University of Michigan, and an expert on crisis leadership. (You can see Wooten talk about crisis leadership here.) But she said that how leaders respond to that crisis can either help limit the damage, or make it worse. Wooten compared Snyder’s early response to Flint to the initial response of British Petroleum CEO Tony Hayward in 2010 to the Deepwater Horizon oil spill in the Gulf of Mexico. In public statements, Hayward underplayed the amount of oil that was leaking from the well, and later said the Gulf of Mexico was so large the spill wouldn’t do much damage. The spill ended up being the worst offshore, man-made environmental disaster in U.S. history. Hayward was ousted as CEO in the wake of his tone-deaf responses to the tragedy. Exploring how the state bungled the Flint crisis may be studied for years, but it is more than an academic exercise for Snyder and future governors. “I want the governor and the state to resolve this,” Wooten said, before then next crisis. CLARIFICATION: An earlier version of this article suggested Snyder’s and Muchmore’s inaction was based on a "belief" that Flint's water was fine, long after residents and outside experts contended otherwise. In fact, we don’t know what they believed. We know only what is documented in publicly available email records. Which is that the Snyder Administration did not take concrete steps to address the Flint water crisis until October 2015, months after a memo by EPA water expert Miguel Del Toral chronicling high lead levels in Flint was publicly reported by the ACLU Michigan. Given the justified trust issue with centralized power as well as the fact that people and all organizations, whether elected or not, can, do and will screw up, the biggest question that needs to be answered is why do we need emergency managers and what can be done to eliminate their need while protecting the state from being stuck with lower government liabilities? This discussion regretably, is totally absent. It is the system of state guaranteed pensions and local debt drives this need yet gets little attention as to correcting the problem and the need for the EM. Whatever amount of money is given to government, it is never enough in some eyes. There is some truth to the comical ad that appears at tax time: 1) Write your total income on Line A, 2) Multiply line A by 110% and enter the result on line B, 3) Submit line B to the government. Well, sure, cities had massive out migration, dropping (many cases plummeting) real estate values, loss of jobs and income and all of these hit the state's income too, so no surprise less money to the cities. Even with this, my experience watching Grand Rapids, there was very little reorganization, outsourcing, privatization or elimination of departments, positions or special offices, even when department heads said to get rid of them. But to my point, if cites or what ever could file bankruptcy no need for EM. Good question. Of the several thousand governmental agencies in our State, only a few seem to manage their budget circumstances to the point of no return. So, if not EM's, what should the State's role be? Perhaps the State should just stay out of local budget problems and therefore avoid the liability?...I don't think that's what we really want. At the same time, it's hard to blame the State when they step in and things still go south, as in Flint. Ultimately this problem cycles back to the citizens of Flint, but our compassionate nature makes us (the State) want to step in and help. However, if we blame compassionate efforts too many times when problems continue, even the State won't step in to help. That leads us back to individual citizens, where the ultimate responsibility resides anyway. Well Barry, If Flint, for instance could have filed bankruptcy (without passing their bag of liability onto the state taxpayer's tab), there would have been a big fight in court and trustees but the state's not in it and no whining about the EM, water dept. and so on. Besides I trust the discipline meted out from the bond market/holders, busted unions/pensioners, and other creditors will do far more good for that city and others, than any EM, governor or other assorted political hacks. Things went south BECAUSE the State stepped in. We in Flint are in worse shape than we were before Govenor Snyder took over. At least before we had potable water, and we would still have it had the City been permitted to go bankrupt. If the States wants to run cities to avoid hurting Wall Street bondholders in municipal bankruptcies, at the least they should be able to demonstrate minimal competence. The point of the article and the case studies is that the Snyder administration failed even at the entry level. This article states: "Emails also reveal that Snyder’s own inner circle of advisors discussed growing concerns Flint water with each other, but apparently failed to share that concern with the boss." This is the real story. They lied to our Governor. This is the real story but, I wonder if any Investigative reporters will be looking into this lying "circle of advisors". What will be the outcome of this crisis? IMO it will be a takeover of the Great Lakes by those who created the crisis in the first place. This article states: “Emails also reveal that Snyder’s own inner circle of advisors discussed growing concerns Flint water with each other, but apparently failed to share that concern with the boss.” This is the real story. They lied to our Governor. No Brian - the 'real story' is that our Governor did not want to hear bad news and made sure that his staff knew that. They knew that if you did, you were gone and that this governor was more than happy to quickly throw people under bus as needed to protect himself. This was also true at SPARK where bad news / the truth was not desired and discouraged. That served Snyder well there and got people to believe that SPARK was something it wasn't. Smoke and mirrors has served Snyder well for much of his career. Until Flint and e-mails caught up with him. And we'll never know what was in e-mails and other documents that never saw the light of day. Doing a mea culpa and blaming "career bureaucrats" is a start but if business schools are using you as an example of bad management then I think you must to do something more than beat your breast and wail and gnash your teeth and say "We'll fix it". While Governor Snyder's decisions or lack of action in regards to the Flint water crisis may or may not be criminal acts those wrong decisions demonstrate extremely bad judgement that permanently and seriously hampers the effectiveness of the Office of Governor and the Governor himself. Unfortunately those decisions continue to put Michigan and the Snyder Administration in a very bad light. While the Governor may or may not have done something criminal I think he should seriously consider stepping down so that the integrity of the State of Michigan, the integrity of the Office of the Governor and his own effectiveness as Governor do not continue to be seriously degraded. Very analytical piece by Ron French! My opinion is: Gov. Snyder has been all about For-Profit Management Companies, in Public Education, Free Market in the Public Sector, and Privatization of Public Services. He, and the majority of Republicans, in Lansing, won't admit it - therefore, denial, stonewalling and outright misrepresentation from the Rs in the State Legislature. i disagree. The situation is more like the military in that Snyder got a difficult situation but made the mistake on his watch of being too "bottom line" and didn't exercise proper oversight over subordinates. Also the EM program was his brainchild and it appears he created a Frankenstein monster that could do great things as in Detroit but if not closely monitored could result in a continuing disaster as in Flint. I don't know if the Governor or his Office did anything criminal but he certainly failed judgement wise and leadership wise very badly in regards to putting the bottom line above the health of 100,000 Flint residents and then apparently denying the mistake when there were obvious red flags that something was seriously wrong. In his 2010 campaign Snyder campaigned on a pledge that in his administration departments would no longer be regulators. The previous administration had abolished the existing DEQ for a host of reasons. Snyder created, organized and appointed leadership staff to the new DEQ on 1/4/2011, his 3rd day in office, with Executive Order 2011-1. Clearly Snyder or someone on Snyder's behalf had been working to create the DEQ long before he became governor. Snyder's top aid met with DEQ staff as he did with many departments and advised them that they needed to do things the "Snyder way" or they would be off the train. The Snyder DEQ staff clearly got that message. After reviewing some the emails that have been released it strains credulity to believe that no one in Snyder executive office told him there were serious problems with Flint water. Clearly his chief of staff, his legal counsel, his urban administrator, his emergency manager and at least 2 department directors all knew there were serious issues long before anything was done like trying to secretly distribute water filters in Flint. But then reviewing the emails and it is also apparent that Snyder seldom attended his own executive staff meetings preferring to communicate by email and text with staff. Further it appears Snyder had very few full cabinet meetings with all of this department directors where an issue like Flint water might be raised and discussed. Snyder's incompetency as a manager and Snyder's lack or concern for other humans is breathtaking, but it should not be surprising as his record at Gateway revealed his character where he was sued for securities fraud insider trading and destroyed the employees pension fund. Your understatement that it "strains credulity" to believe that Snyder remained unaware as his inner sanctum knew of and discussed huge public health issues with Flint water caused by the criminally incompetent decisions's of his appointed EM is a shabby myth. The myth will be put to rest once this crooked dilettante and his "high performance" team are cross examined under oath. I hope all these case study thinkers look back a little further in their analysis. If they do, they will discover that when municipal water systems are installed, individuals are almost always prohibited from having their own wells as their source of water. This "giving over of individual responsibility to the 'State'" is where the Flint issue really begins. I'll bet none of the learned case studies look back that far. Nor will they have a better answer to the EM matter. Perhaps I'll be proven wrong. Maybe Bridge will track all these case studies and report on any promising outcomes. The Flint water crises has initiated a national debate on the capability of municipalities to ensure clean and safe water for its residents. The crises has become the proverbial political football, where ascertaining blame for incompetence and negligence is the subject of discussion and legal proceedings.The focus has been on the Governor’s emails and who knew what and when in the government agencies responsible for monitoring Flint’s water quality. Lansing’s supervision to resolve Flint’s financial mismanagement and its connection to the water crises has been the subject of many “but for” excuses. All have become the primary focus in the news and web sites like Bridge Magazine. What is absent from the discussion is a long term practical solution other than how to convince the guardians of the Federal Government’s purse to bail out Flint's water problems with taxpayer dollars. The maintenance of municipal water and sewer infrastructure presents the same financial funding issues that are associated with the maintenance of Michigan roads and bridges. The legislative solution in Lansing is to seek federal subsidies or levy taxes on somebody or something. If it can be bought, sold or used Lansing will tax it! If it lives or breathes, tax it! This attitude reflects the failure of Lansing governance, irrespective of political affiliation, to embrace creative solutions and think outside the box known as federal bail outs or taxation. Permit me to again present the idea of Public Private Partnerships (PPP’s) that I raised during the road funding debate. Legislation authorizing the funding for roads, bridges and other infrastructure maintenance such as water and waste water facilities using PPPs has been passed in twenty-four states except Michigan. Michigan’s House Bill 4961 in 2009 authorizing the use of PPP’s failed. WHY? Communities challenged with aging water and wastewater infrastructure, increasingly complex regulatory requirements and budgetary constraints require proven alternative solutions other than federal bail outs or taxation. Many states and municipalities have entered into Water-Waste Water Utility Public Private Partnerships. The American Legislative Exchange Council has a draft proposal available for state legislatures to consider to authorize PPP’s within their states. The District of Columbia; Chicago Heights, Illinois; Edison and Bayonne, New Jersey, and Seattle, Washington are a few municipalities that have implemented PPP’s to manage their water and waste water treatment facilities. In short proven and tested models and solutions are available. What’s the solution? We the people must challenge our elected representatives to enter the Twenty-first Century of political governance. They must begin thinking outside the box of taxation and federal bail outs. Many states, like Michigan, are looking to the Federal Government for solutions for health care, education, road funding and now water treatment facilities. Michigan is becoming a dependent of the Federal Government and thereby relinquishing its sovereignty guaranteed by the Tenth Amendment to the Constitution. Lansing is always focused on more funding for education failures, picking winners and losers in the renewable energy sector (mostly losers), and use of the Michigan Economic Development Corporation as a slush fund for whatever political party holds office. It is time for an intelligent change in Lansing to seek solutions. We need less finger pointing and scholastic analysis on how to manage self inflicted incompetence and more attention to constructive and proven solutions. Just saying folks. Ah yes, all we need to do is implement the Koch sponsored "bright ideas" from ALEC and let the magic of public-private partnerships fix the mess. Don't buy anything ALEC is selling. Yes, but we know that Republican businessmen are such superior managers. We know that if you run government like a business, only happy results occur. Is there any interest in impeaching Snyder? Let's see how well the "business as usual approach " of our current administration handles the oil cleanup along our coasts, and northern cities , once the 63 year old pipeline across the Straits of Mackinaw erupts . I'm releaved that I can trust the MDEQ staff to do the right thing when caring for the Public Trust. I agree, Snyder should resign. Staying in "power" to fix a problem his administration created is ludicrous. It was the incompetence of this administration that created this problem, so incompetence just breeds more incompetence. It is also the republicans in power who stand in the way of recall petitions. What about impeachment? All this discussion reminds me of Lee Iacocca's prescient observation during the Chysler fiasco many years ago. It was, as I recall, to the effect...allowing assertive accountants to make executive decisions based only on "data" and "statistics" inevitably removes top level executive responsibility for, what is, in effect, courageous decision-making by the guy/gal sitting in the top chair. As I recall, Snyder is a numbers guy, too. Oh well...here we are agin. Don't forget to add Veterans Affairs and the Grand Rapids Veterans Home to the list. I find it very hard to believe that Snyder knew nothing about flint's crisis. A month after the water system was switched to Flint River, the people of Flint were on the steps of Lansing. What is he, deaf, blind, or just dumb? When the United Nations came to Detroit in the fall of 2014, the people of Flint brought their water samples to be seen. Newscasters were there but the stories didn't make the air. I find that hard to believe that no one reported the information to the governor. And the only ones the emergency manager reported to was the state treasurer and the governor. As a citizen of Michigan, I have observed Gov Snyder's refusal to engage with journalists and others, oftentimes skating around issues with platitudes of "relentless positive action" - it is no surprise there is a culture of no communication, and cavalier attitudes. Let's get something straight, the EM (previous administrations) was not a creation of Snyder. The Flint city government rode long and hard on the equine known as GM, but when that horse went lame, oh hell it died, the city kept whipping the steed expecting it to do a phoenix. Well that didn't happen. The decades of fat retirements, based on the cash cow called autos, came crashing down. Flint, like far to many municipals, had not invested in maintenance of its systems, oh yes, and to many citizens failed to pay the piper when he arrived in the mail box. The downward spiral became a maelstrom. Have you looked at the downtown hardly encouraging. And for those advocating to let the city move into bankruptcy what would you say to those dependent on city services; city paychecks; pension payments. I too am tired of being told to bail out entities who are poorly managed; be they governments or Wall Street banks. I am not happy that my fellow Michiganders are burdened with a possible $700+ million bill for the Detroit public schools, yes those same schools that have a dozen or more 'leaders' now indicted for maleficence, including fraud, bribery, et al. Millions of dollars, who was asleep at the switch, stolen from the children. Now my fellow citizens are expected to take their hard earned wages and redirect them from their own communities to the 'gang that could shoot straight.' Obviously Mr. French likes to see his name in print, lots of print, so get off the Governor, we all know he's not proving to be brilliant and certainly not particularly lucky. I wish he could have said to those folks you're on your own, but then you would have been writing what a callous politico he was. Yeah he's not measuring up but the real blame belongs in the hallowed hall of Flint City hall and in the kitchens of Flint residents who put up with such incompetence. It doesn't really matter what happened in the past or what the City of Flint did or did not do. The Governor failed to exercise proper management and oversight over the EM program allowing the bottom line to take control and encourage MDEQ to approve anything necessary to save money and thus the ill fated decision to switch to highly corrosive Flint River water without proper chemical treatment endangering the health and safety of 100,000 Flint residents. The Governor made the call for "relentless positive action" and the EM's involved in the switch over to Flint River water actively ignored the highly corrosive nature of raw Flint River water in order to find a way to save money while the MDEQ worked diligently to very loosely interpret strict Federal guidelines and go against standard industry practice to "allow" the EM"s "cost saving plan" to go into effect even though it was known that strict guidelines were not being followed and that the water was unsafe to drink without proper treatment. Thus was Flint drinking water poisoned with lead and the crisis begins. But even worse is the fact that after the switch over numerous obvious red flags were ignored again and again so that the Governor's program of "relentless positive action" could continue forward continuing to put at risk the health and safety of 100,000 residents of Flint. The citizens of Flint were the victims here not the perpetrators. I can't help but wonder how different this discussion would be under exactly the same circumstances if Jennifer Granholm had been governor. Granholm never trumpeted anything like "relentless positive action" nor did she put herself forth as "one tough nerd" or a "businessman who will fix Lansing". Snyder made all these claims and while he has had some successes the massive screw up that is the continuing Flint water crisis negates any positive gains he may have made and definitely calls to question his entire strategy and management style. Just goes to show how wrong things can go if you put a "businessman" in charge of the government. There is a long web of circumstances leading up to this situation, including (1) no checks and balances on emergency managers (and inadequate credentials for running the services of a city or school district) and (2) reduction in state funds for municipalities. Question on an exam given yesterday: What advice might a policy analyst have given to the Emergency Manager of Flint regarding a decision on whether or not to make the switch to Flint River water that if followed would have prevented future problems? The emergency manager should at the outset conduct a multi-goal analysis that looks at the two options (Flint River water; Detroit water) for supplying water to the residents of Flint until the completion of the new pipeline. Multiple criteria should be used to evaluate and compare the options (cost, quality of water, health effects, ease of implementation, political feasibility). Water supply, like public safety, is a core function of local government. A focus solely on cost is myopic. A multi-goal analysis will result in a better decision. 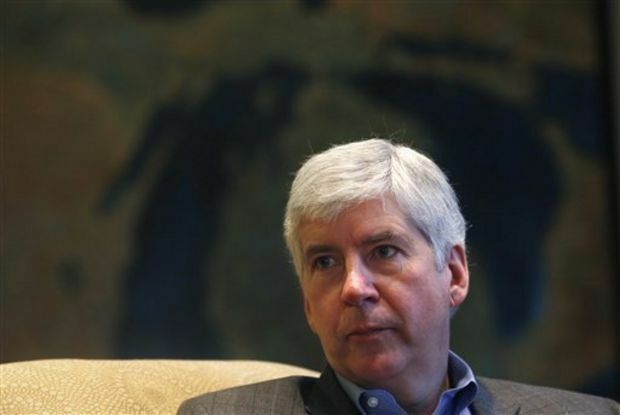 Governor Snyder has repeatedly tried to blame the Flint failure on "career bureaucrats". CEO Snyder and his board of directors (the republican legislature) have amply demonstrated their contempt for state employees through wage and benefit cuts and continual privatization. Snyder campaigned on two platform planks, to give business a tax cut (sold to the rest of us as a jobs bill) and to balance the state budget on the backs of state employees (always a popular move). He accomplished both objectives. But when the company you work for conclusively demonstrates their contempt for their own employees how do you think the employees are going to respond? Most likely with mutual contempt, poor attitudes and lack of engagement. This does not excuse what appears to have been an egregious lack of interest on the part of the DEQ employees but Governor Snyder set the tone of his corporation and the value of his employees. Saying that Snyder did not know about the water issue in Flint was like Chris Christy in N.J. did not know about the bridge closing in New Jersey. Lying has truly become an art form. Worse yet are the half truths put forth by politicians.